Eric Webber's practice covers a wide range of business transactions, including private and public mergers and acquisitions, joint ventures, business organizations and restructurings, public and private debt offerings (senior, mezzanine and subordinated debt), commercial lending (asset based lending, secured and unsecured bank debt and other financing transactions), workouts and recapitalizations, and public and private equity offerings. In M&A transactions, Eric has led legal teams on acquisitions and dispositions of operating businesses as well as patent portfolios and television and film libraries. In equity offerings, he has represented issuers as well as underwriters and investors. In debt transactions, he has directed dividend recapitalizations, leveraged buyouts and restructuring transactions. Eric’s financing deals include public and private company transactions, both in and outside of bankruptcy, and the representation of borrowers and debtors as well as lenders and creditors. Additionally, Eric advises individuals on issues relating to service as executive officers or board members for private and public companies, including corporate governance, fiduciary and other duties, insurance, indemnification and risk management. Eric’s clients span a variety of sectors, from more traditional retail, entertainment, media, financial services, healthcare services and manufacturing businesses to new media, mobile communications, cutting-edge electronics, software and clean technology businesses. His clients include both operating businesses and investors and U.S. as well as European and other international clients. 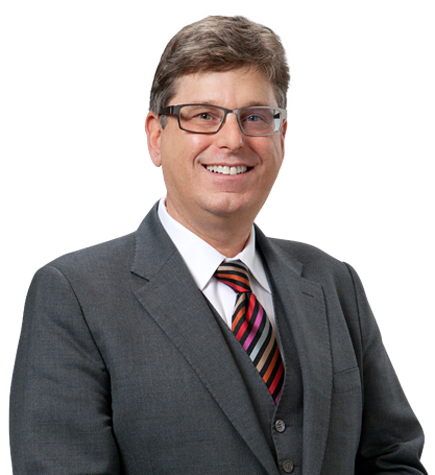 Eric has written and spoken on various topics relating to equity and debt financing, bankruptcy and restructuring, commercial transactions, mergers and acquisitions, banking, securities law and lawyer ethics. He has also served in the firm's General Counsel's office and as a member of its Executive Committee. Represented a family of investment funds investing in an A/B note offering part of a $135 million recapitalization of a major restaurant chain. Represented a family of investment funds investing in a $67.9 million financing of the acquisition of a radiation oncology business by a major national public healthcare company. Represented several privately held U.S. businesses (including a metals recycler, an electronics manufacturer, a healthcare services provider and a furniture retailer) in connection with secured and unsecured bank credit lines totaling over $500 million. Represented a multinational media/entertainment company in connection with approximately $950 million in debt financing secured by film library assets. Represented a leading manufacturer and distributor of pre-fabricated outdoor structures, as well as its private equity sponsors, in a $120 million secured and unsecured debt refinancing transaction including an issuance of $80 million in second lien term loan notes. Represented a non-U.S. private investment group in a restructuring of $150 million in debt securities issued by a U.S. public healthcare company. Represented a non-U.S private investment group holding about $60 million in secured debt securities issued by a U.S. public healthcare company in the bankruptcy reorganization of the company and its subsidiaries. Represented a U.S. private investment group in connection with a bankruptcy filing and restructuring of an existing portfolio company, including a purchase of the company's assets in a Section 363 sale and a rollover of certain of the company's debt. Represented a U.S. retailer in an out-of-court workout/liquidation of its assets and business to satisfy about $30 million in secured and unsecured third party debt obligations. Represented a privately held U.S. healthcare company in a plan of liquidation involving about $65 million in assets. Represented a privately held national healthcare company in connection with the dispositions of its interests in several major hospital joint ventures for about $50 million. Represented a privately held Southern California electronics company in connection with a trio of related acquisitions, totaling approximately $125 million, as well as in the disposition of a major division shortly thereafter for approximately $45 million. Represented seller in sale of Texas-based home attendant care services division to a leading home healthcare provider. Represented seller in the sale of major Southern California hospital and related operations to a major healthcare services company. Represented investor group in the restructuring and sale of seven outpatient services joint ventures with major hospitals around the U.S. Represented private equity fund in connection with multiple equity and debt investments in a major U.S. Spanish-language television network, various restructurings of those investments into a controlling interest and the disposition of the controlling equity interest in a $2.7 billion merger with a subsidiary of NBC/Universal. Represented a multinational media/entertainment company in connection with the acquisition of a major studio for approximately $1.6 billion. Represented a major publicly traded Southern California technology company in connection with more than a dozen of strategic acquisitions over the course of five years. Represented a major technology and communications company in connection with its $777 million investment in a joint venture acquiring a $4.5 billion patent portfolio from a debtor group in a multijurisdictional bankruptcy. Represented the investor in connection with the joint venture's participation in the bankruptcy auction, the consummation of the patent portfolio acquisition and various post-closing matters. Represented a digital media technology company in the acquisition of a patent portfolio out of bankruptcy. An openly gay man, Eric is active as a volunteer with and supporter of numerous LGBT community organizations, including AIDS Healthcare Foundation, Bienestar, Equality California, Lambda Legal (former national board member), the LGBT Bar Association of Los Angeles (former co-president), and the Los Angeles Gay & Lesbian Center. He has received several awards for his pro bono legal work and community activities in support of LGBT rights. Hon. John Minor Wisdom, U.S. Court of Appeals for the Fifth Circuit.